Delphi Archaeological Site, The Navel Of Earth In Greece! 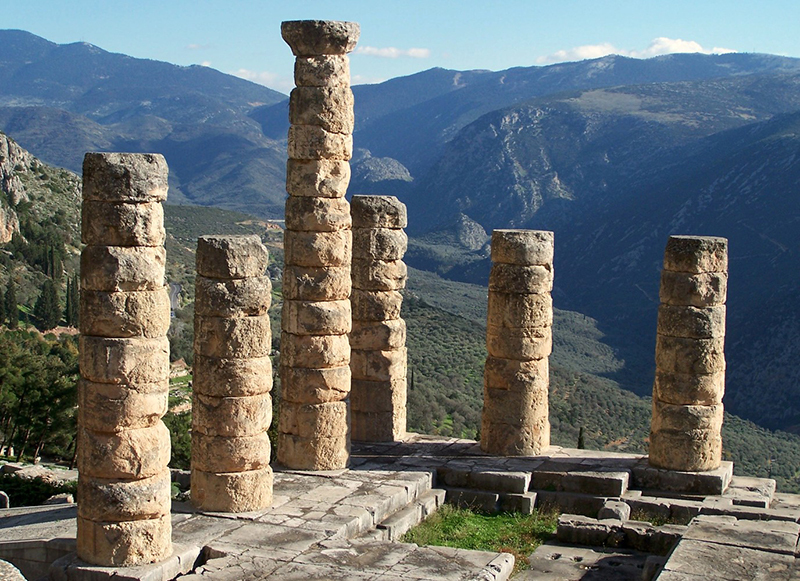 Delphi archaeological site, the most important religious center in antiquity, is located in a peaceful natural setting on the southern slopes of Mount Parnassos. According to mythology, Zeus released two eagles in order to find the center of the world. The two eagles were met in Delphi, that’s why this place is considered the Navel of Earth. The majesty of Delphi Archaeological Site, one of the top 10 places you should see on your holidays in Greece, is unsurpassed: legendary buildings vestiges of antiquity, the exciting mystical process of prophesying that took place here, the sanctity and respect with which Ancient people faced the Ancient Oracle of Delphi, and also, the unique scenery of the place complete a “life experience” for anyone visiting Delphi Archaeological Site while vacationing in Greece. The development of the sanctuary and the oracle began in the 8th century BC, along with the worship of Apollo. 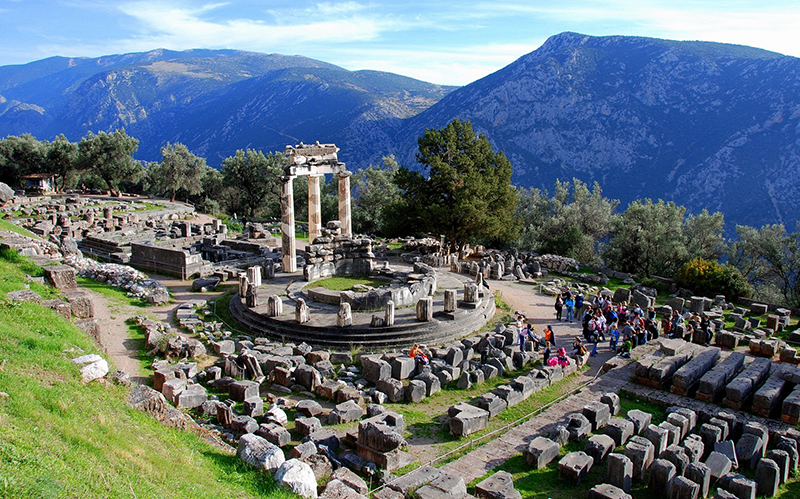 In the 6th century BC, Delphi sanctuary gained its autonomy, expanded, increased its religious and political influence and adorned with splendid buildings, statues and other offerings. In 191 BC began the Roman rule and the spread of Christianity, so the sanctuary began to decline and was finally closed at the end of the 4th century AD, by decree of Emperor Theodosius I. 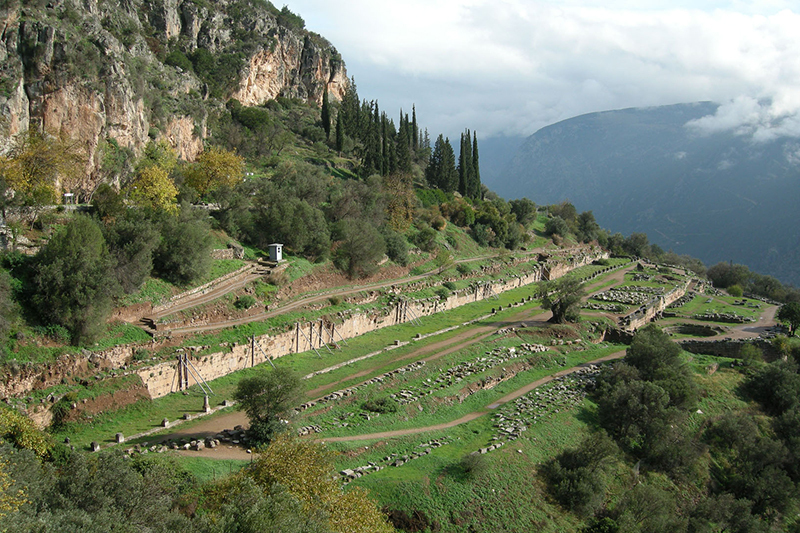 However, life was continued in the region of Delphi. 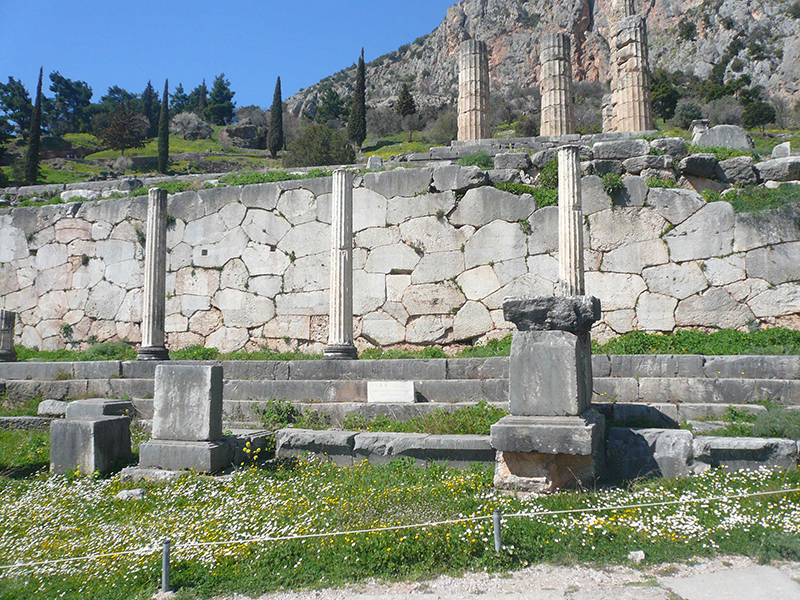 Delphi archaeological site was revealed by the systematic excavations of the French Archaeological School in the late 19th century, followed by restorations and reconstructions. As you approach Deplhi archaeological site from Athens, you see at first, the temple of Athena Pronaia, from which largely survived the famous dome. At this point, you can see its position and the space it occupied, while you can admire parts that survived in the Archaeological Museum of Delphi. 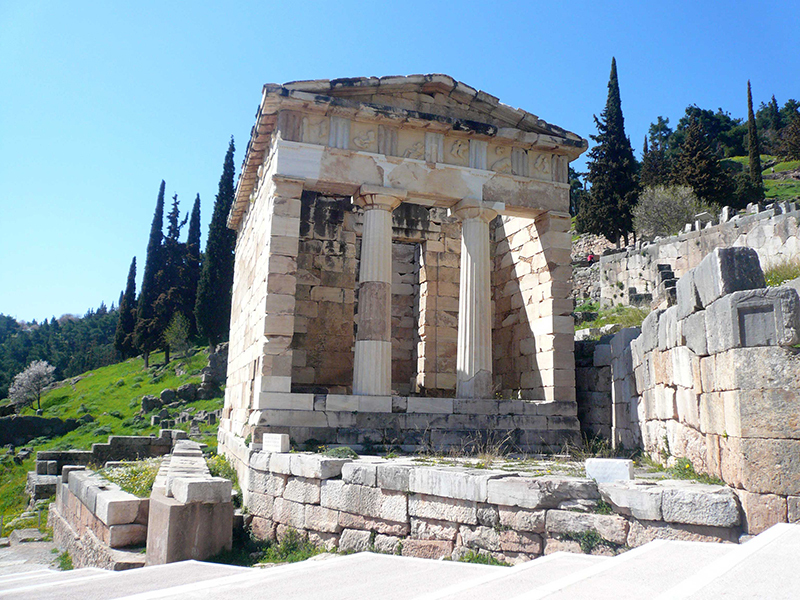 You will see the ruins of the three temples of Athena and the altars that were in the temple. Continuing north, you will discover the Gymnasium. It was a training room, featured palaestra and baths and was considered one of the most popular in antiquity. Probably, it was created in the 4th century. B.C. and it was operating until Roman times. 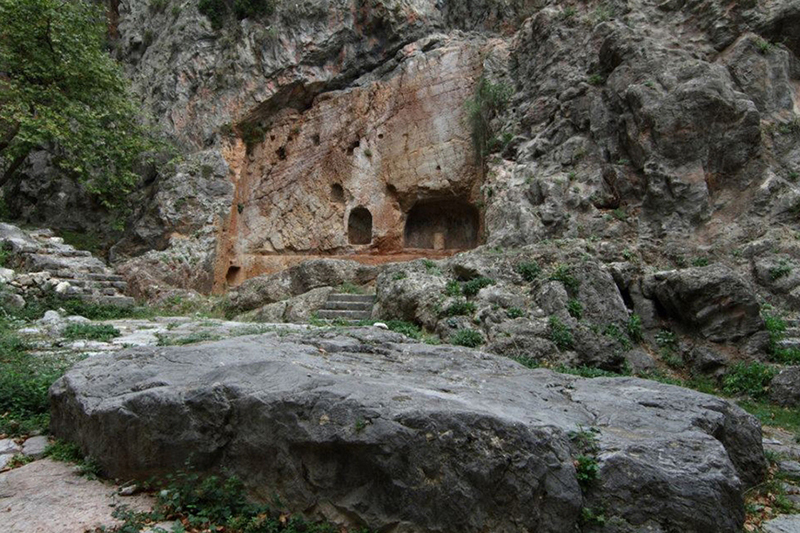 Continuing you tour towards the sanctuary of Apollo, you will find the Archaic Fountain of Castalia Spring. It was the sacred spring of the oracle, where the Pythian and the priests of Apollo were purified. Continuing your route to the Sanctuary of Apollo, you will meet the best preserved building of the Oracle: the Treasure of the Athenians. It is located immediately after the first turn of the Sacred Way, near the old Parliament House. It was probably built in the early 5th century BC and is considered to express the victory of democracy in Athens. Parian marble was used for its construction and the labors of Hercules and Theseus adorned the metopes. Many inscriptions were rescued from the Treasure walls, including the two famous musician hymns exposed in the Archaeological Museum of Delphi. Just before the temple of Apollo, a magnificent building of the Oracle, you will see a wall, which seems to be constructed with great care. This large polygonal retaining wall was made in order to delimit the space around the Sanctuary. Just in front of it, you will see the remains of the Stoa of the Athenians, built by the Athenians in the time of Pericles to house war spoils that they brought as offerings at Delphi. It is a doric peripteral temple with six columns on the short sides and 15 on the long. Now, there are only the remains of the temple left. In its deepest level was the sanctuary, where the divination process took place- from this section, nothing has been saved anything until today. 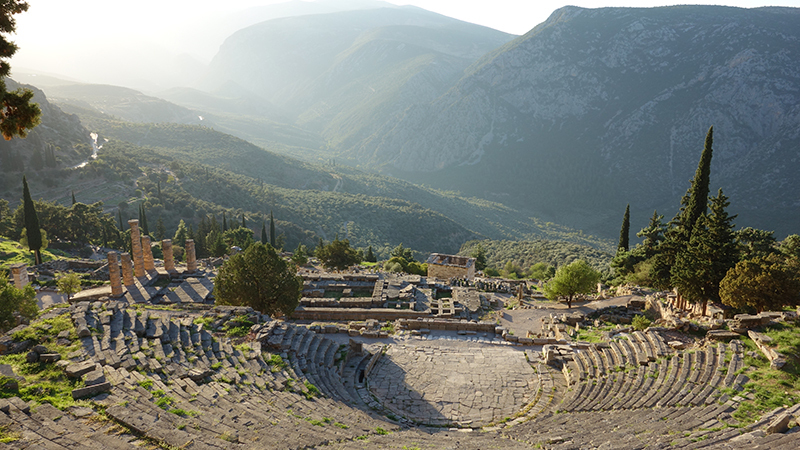 Ending your tour in the Delphi archaeological site, after Apollo Temple, you will see the Theater and, a little bit further, the Stadium, where the Pythian Games used to take place. Both areas are preserved in very good condition. 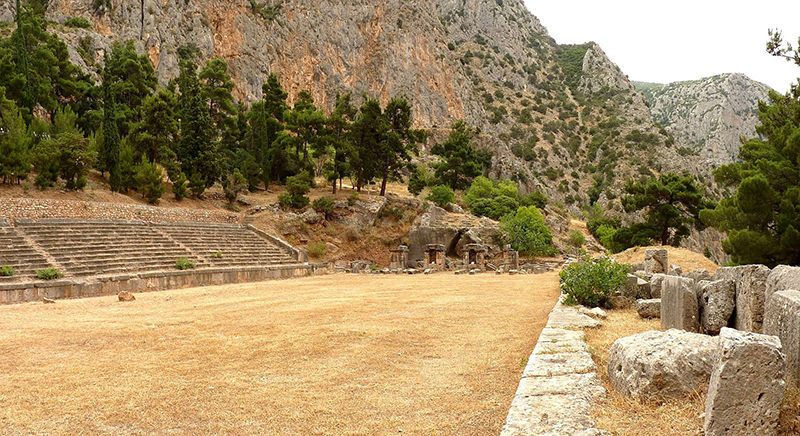 In the ancient theater of Delphi, voice and music competitions used to take place as part of the Pythian Games. 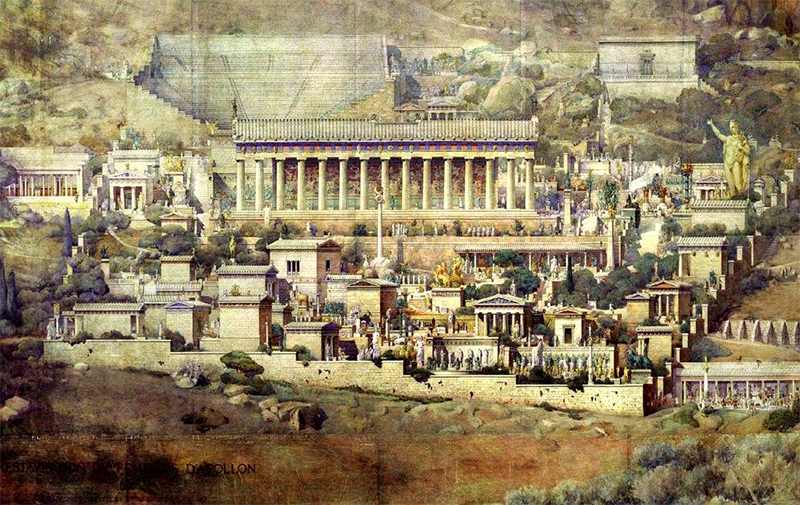 Finally, the Stadium of Delphi is located on the highest point of the hill, above the sanctuary of Apollo. You can come here by following the path from the Theater. The entrance to the area in ancient times was made through an arch, triumphal entry, the only one known as the entry of a Stadium. Platform with five steps carved into the rock served viewers, while the length of the track is equivalent to a Roman stadium, 177.55 m. length and its 25, 50 m. width. Previous Previous post: Chalkidiki Holidays – Exotic Holidays In Greece! Next Next post: Experience Tinos Holidays In Greece!